Germany’s Manuel Neuer has been widely credited as one of the finest goal-keepers of his generation, and quite rightly too. The Bayern Munich shot-stopper has multiple major trophies and individual accolades tethered to his name, with many more likely still to come in the not too distant future. Neuer goes about his business with a level of strength and toughness that arguably surpasses that of Manchester United’s David de Gea. He has time on his side unlike the honourable Italian stalwart that is Gianluigi Buffon, whilst contributing far more dynamism between the sticks than the likes of Thibaut Courtois, Petr Cech or Tottenham’s Hugo Lloris. From providing exceptional saves and last-ditch heroics at a reliably frequent rate, to commanding his back-four like an army drill-sergeant and even taking the odd match-winning penalty on occasion – Manuel Neuer is a goal-keeping personality above all else. A player we all love to watch regardless of which side of the fence we happen to fall upon. 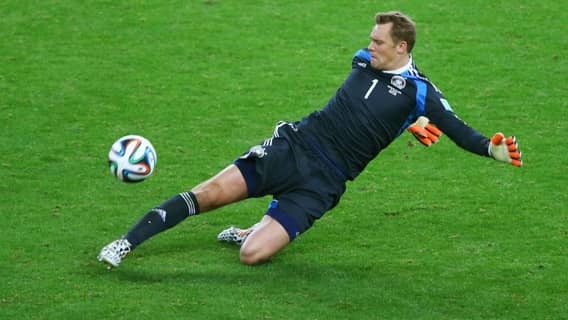 Yet perhaps Neuer’s most standout feature seemingly arrives elsewhere. Although the German international is often applauded for his traditional shot-stopping talents, it’s his seamless ability to play the role of the notorious ‘sweeper-keeper’ that really gets people talking. The 31-year-old Bundesliga favourite can often be found rushing off his goal-line in an attempt to aid his outfielders in the most efficient form possible. Neuer is capable of playing the ball calmly out from the back, helping to launch those all-important counter-attackers with all the more vigour and finesse. But just what is it that really makes the ‘sweeper-keeper’ act in such a way? Who were the first proponents of the role all those years ago? And why has it made such a remarkable comeback within the modern game we currently behold today? A ‘ sweeper keeper ’ is a player that seeks to control the space behind his respective back-line. The role involves keeping resolutely close to your defenders far more often than usual, keeping on your toes for the majority of each match, and providing quick counter-attacking throws with hastened speed and efficiency. In other words, the role of the sweeper keeper is to act as an eleventh outfield player. Someone who isn’t scared of running head-first into battle whenever the situation calls for it, yet a player who is equally well-versed in maintaining only the highest levels of concentration for each subsequent ninety minutes of football. The desired goal-keeper must be technical, remarkably self-aware, and above all else – wholeheartedly confident when saving their team from the brink of defeat. 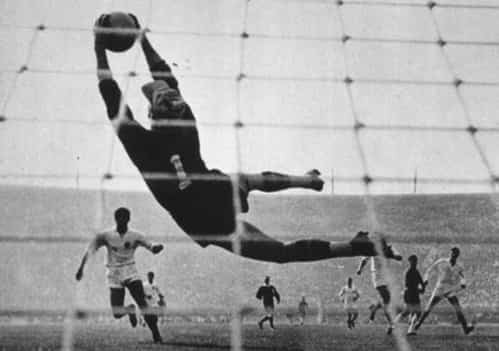 Russia’s Lev Yashin arguably represents one of the very first ‘sweeper-keeper’s’ to have emerged on the international scene. The widely recognised shot-stopper was renowned for his ability to leave the penalty area and aid his outfielders in attack, allowing his team to break forward with far more intensity and direction. Whilst the role was still very much within its infant stages during the Russian goal-keeper’s time, many of Yashin’s contemporaries were soon becoming wise to everything the all-important ‘sweeper-keeper’ position had to offer. The mighty Gyula Grosics was certainly one of them. Hungary’s favoured shot-stopper throughout their famed golden era proved to be a class unto his own. He may have been incredibly small for a goal-keeper at just 5’8”, but his overall agility and keen sense of distribution were simply second to none. Hungary were a force to be reckoned with throughout the 1950’s. They sought to attack in numbers, instructing even their last line of defence to help contribute within the collective goal-scoring department. Their game-plan was one born out of an explosively attacking mind-set, and it all started with Gyula Grosics between the sticks. The role of the ‘sweeper-keeper’ has nonetheless grown and evolved quite considerably over the years, especially once the back-pass rule had been defined by the early 90s. The position became something of a favoured ploy for Johan Cruyff and all his subsequent managerial disciples at the Barcelona academy, including none other than Pep Guardiola himself. They wanted their keepers to successfully launch moves from the back and dictate play as soon as the ball had returned to their team’s possession. Barca’s Victor Valdes acts as an excellent example of a player with such a desired skill-set, as does the latest shot-stopper to have emerged at the Nou Camp – Marc-Andre ter Stegen. Several goal-keepers across the continent of South America have also heavily influenced the role of the ‘sweeper-keeper’. Amadeo Carrizo, Jose Luis Chilavert and the infamous Rene Higuita are just some of the names to have thrust some new light on the position with their ‘El Loco’ style of shot-stopping. All widely noted tactical enhancements usually come and go as a result of changing fashions and expanding managerial trends. Yet the role of the notorious ‘sweeper-keeper’ is one that will seemingly never die. Whilst the distinct nonconformity of the much-loved position hasn’t always worked wonders across the wider European scene – see Claudio Bravo’s recent stint at Manchester City for an overt example of how the role can sometimes result in abject failure – more and more teams are seeking to utilize the tactic to the very best of its ability. At times the ploy can prove somewhat hazardous, fraught with danger and a tricky sense of uncertainty if the goal-keeper in question is clearly not up for the job. But in the case of Germany’s Manuel Neuer and so many other widely noted shot-stopping personalities over the years, there is arguably no better way for top-flight goal-keepers to apply themselves. In the end the ‘sweeper-keeper’ takes no prisoners, and most football onlookers simply can’t help but love him for it. Sometimes, life between the sticks is one of great magnitude. A trial of unpredictability and excitement, all wrapped up in one truly memorable ensemble.